L3 Corporation is a leading retail commercial brokerage firm specializing in tenant representation, landlord representation and property acquisition and disposition. Members of L3 Corporation have brought deals to fruition in excess of 35,000,000 square feet spanning over 100 cities throughout the United States and Canada. L3 Corporation is focused exclusively on retail real estate. 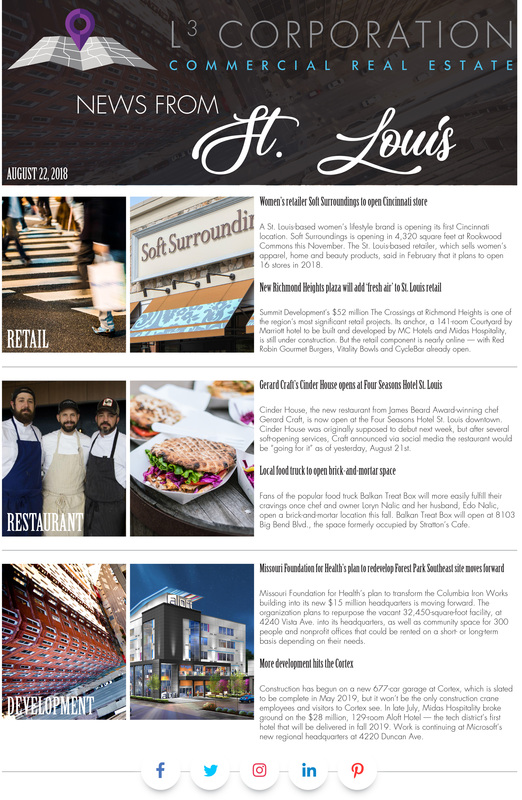 Please contact our team for more information on St. Louis or for any of your retail real estate needs.